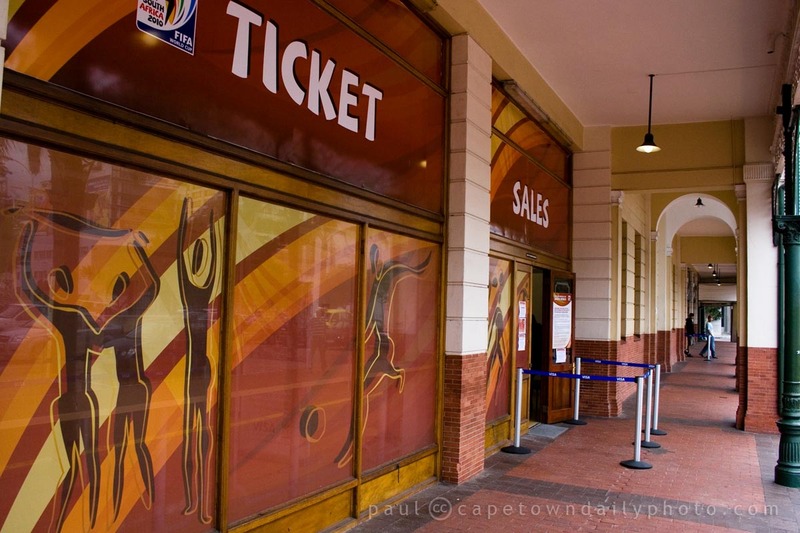 If you haven't picked up your tickets for the World Cup football matches in Cape Town, then best head on over to the FIFA ticket sales and collections office as soon as possible. We visited to collect our tickets for three of the matches. It was really a piece of cake - everyone was in a festive mood, the officials were friendly and we were in and out in a flash. Posted in General and tagged 2010 world cup on Friday, 4 June, 2010 by Paul. Between the opening match SA/MEXICO, also @ Green Point Stadium last night, and today- June 12, Korea/Greece so far: WHY are there so many open seats in the stadiums if there are “no tickets” available/ or the outlets state they are “sold out” ?? ?